The “off-label” promotion and marketing of drugs by the pharmaceutical industry is a huge driver of profits. Take Cordarone® for instance. Wyeth’s campaign to promote this drug for the treatment of Atrial fibrillation was so successful that Wyeth made an estimated $3 billion from this “off-label” use. As of 2007 and continuing today, Amiodarone is the most commonly used anti-arrhythmic drug used for the treatment of A-Fib, with an estimated 80% of all Amiodarone prescriptions being prescribed for off-label purposes. Wyeth used a variety of methods to promote Cordarone for the treatment of A-Fib, including using its army of salespeople to meet with cardiologists; sponsoring various conferences, symposiums, meetings, professional associations meetings (e.g., AMA, NCPA, ACCA) or continuing education events where Cordarone was promoted as a treatment for A-Fib; using “key opinion leaders” to promote Cordarone to physicians in various settings including conferences and professional meetings and to author journal articles. Today, however, after the FDA cracked down on payments or other “gifts” to physicians, the drug industry has adapted. They no longer rely upon sales representatives to visit a physician’s office to market or promote a drug. Drug manufacturers use a variety of internet-based tools to exert prescribing influence over physicians. This includes social networks specifically for healthcare providers like Sermo and Doximity where doctors can learn about new medical news and connect with other physicians. The industry also creates its own sponsored discussion forums to target doctors and identify key opinion leaders that can then be used to influence other physician’s prescribing habits. Pharma uses these forums to solicit physicians opinions through surveys (paid and voluntary), recruitment of physicians for focus-groups. Manufacturers also used Electronic Health Records (EHRs) to market directly to physicians. Many EHR vendors sell data to third-parties like Pharma. Marketing also occurs via EHR at the point-of-care via the use of banner ads, industry sponsored clinical resources and requests for samples, article reprints and other items. Drug manufacturers also use prescribing sources like The Physician’s Desk Reference (“PDR”) and Epocrates to influence prescribing behavior. Physician’s no longer resort to use of the PDR book, but rather use the PDR app or Epocrates, which is the most popular prescribing source for physicians in the U.S.
An article by the New England Journal of Medicine noted in a 2014 article that these new digital marketing pathways are even more effective than visits by sales representatives and gifts to physicians because these new methods of delivering marketing messages occurs at the point of care, when the physician is making the clinical decision of what drugs to prescribe. 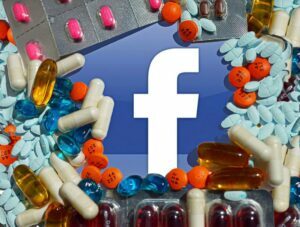 These digital marketing methods also give drug manufacturers some cover because in many cases it allows them to influence physicians via third-parties rather than directly. Prescribing physicians are unaware of the marketing relationships between pharmaceutical companies and Epocrates and the PDR. The financial success of these entities is no longer dependent upon subscriber payments by physicians but rather by marketing and research relationships to drug companies. Epocrates earns a large portion of its revenue from its marketing and research relationships with drug companies. Access to prescribers at the point-of-care, when deciding what drug to prescribe is an incredible tool for the drug industry to promote drugs for off-label use. Because the cost of bringing drugs to the market has increased, drug manufacturers routinely try to maximize revenue by promoting products for unapproved uses. The above is simply some of the current methods that the pharmaceutical industry uses to manipulate physician decisions. Source: Manz, Christopher, M.D., Ross, Joseph, M.D., Marketing to Physicians in a Digital World, N. Engl. J. Med. 371:20 (Nov. 13, 2014). The Thomas Fire, the largest wildfire in modern California history destroyed over 281,000 acres of Ventura and Santa Barbara counties, and continues to wreak havoc more than six weeks after it began on December 4th. The narrative started almost immediately after it became evident the wildfires that began in the late evening of October 8 and the early morning hours of October 9 were going to be immensely destructive. On October 30, 2017, Intel CEO Krzanich sold off 900,000 shares of Intel stock, receiving more than $39 million. Krzanich sold every share of stock he could legally sell leaving only the bare minimum 250,000 shares he is contractually required to own as Intel CEO. Microsoft’s software update for Windows which is Microsoft’s first attempt at a “patch” for the Meltdown and Spectre security flaws in x86-64x processors has caused a large number of computers with AMD processors to crash. Currently, there are at least 13 separate class action lawsuits filed against Intel Corporation across the United States. For California, 2017 will likely be known as the year of the wildfire as the State experienced the most catastrophic wildfire season in modern history with fires killing 44, destroying 8,000 residences and causing more than $9.4 billion in insured losses in the month of October alone. On January 3, 2018, after The Register broke the news of massive security vulnerabilities in all of Intel’s CPUs since 2004, Doyle APC filed the first class action complaint against Intel Corporation for damages caused by these security defects.